Cinco de Mayo is a well celebrated holiday in the United States. I think Americans just love a chance to eat Mexican style dishes and drink lots of beer with lime and margaritas. Why not... it's a party. 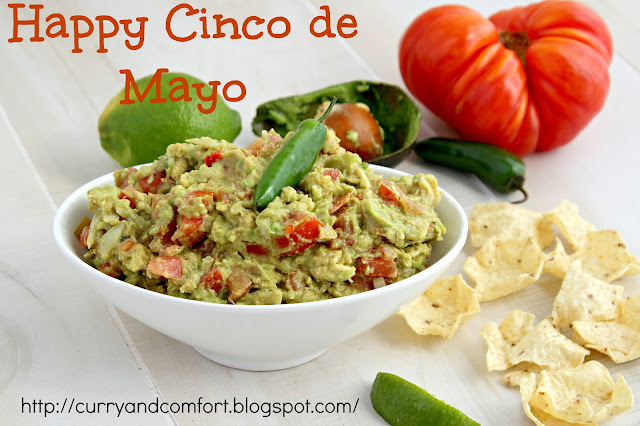 :) So Happy Cinco de Mayo (tomorrow) and enjoy it with some chunky guacamole. 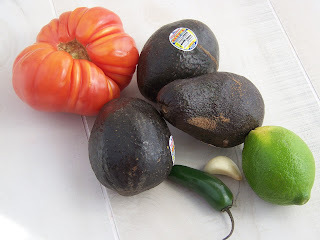 Get all ingredients prepped before cutting avocado. 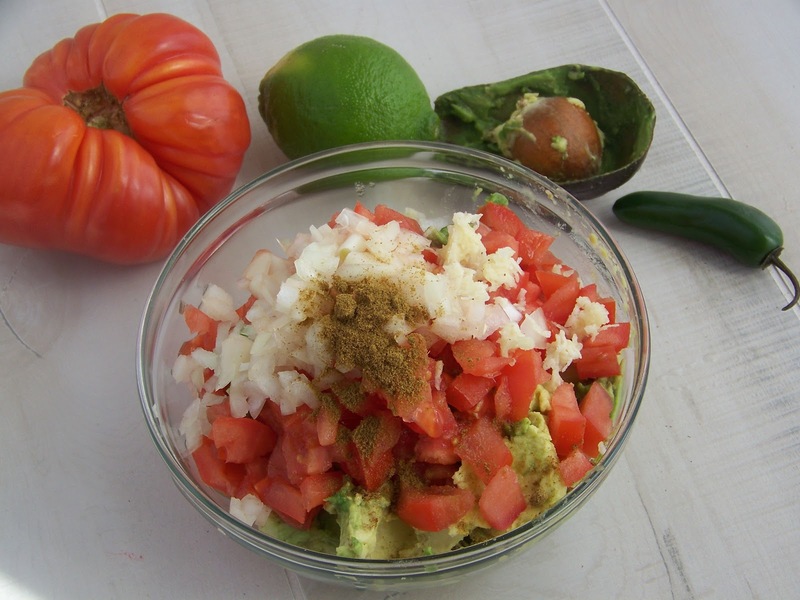 Once avocado is cut, scoop out the flesh and put lime juice on it so it prevents browning. Mix all ingredients and taste for seasoning. Serve chilled with chips. Wow Ramona u r all geared up for Cinco de Mayo,have fun ! cute serving bowl,perfect dip . Just park me in front of your bowl of guac and give me a spoon! LOVE the stuff and yours looks like perfection. This gauc would be gone in a heartbeat!! I am loving how chunky it its. LOL. 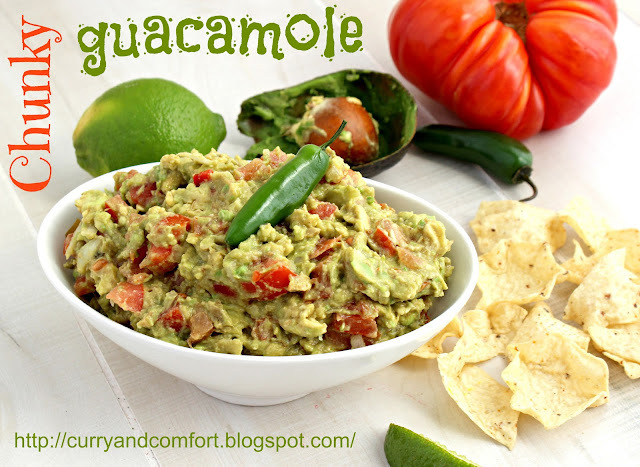 Any excuse for a party OR to eat this awesome chunky guac. right!? Looks delish.